Are you experiencing issues with your garage door? Trust only the #1 garage door specialist in North Las Vegas— A1 Garage Door Service. Contact us now at 702-625-8319. A1 Garage Door Service is the trusted service provider in installing, servicing and repairing all kinds and types of garage doors. We encourage you to check out the reviews of the people of North Las Vegas on the kind of garage door service that we provide. Our customers have consistently given us A+ ratings on BBB, 5-star ratings on Yelp and the Super Service Award on Angie’s List to express their satisfaction on our service. 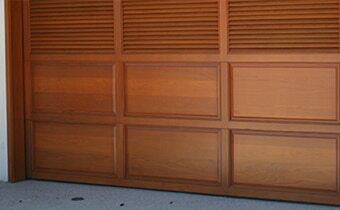 We service the garage door needs of the people of North Las Vegas, a city in Clark County, Nevada. When you call us, expect our technicians to arrive promptly and efficiently attend to your garage door needs. Called with concerns about garage door. They were here the next day. Office staff helpful. Technician who came to house knowledgeable. Awesome service and exceptional customer service. Came on time and was very knowledgeable and curtious. I would definitely recommend this person/company. Very pleased with the work he did and am satisfied with the job well done. My 21 year old garage door now opens and closes like new again. From the initial phone call to set the appointment through the final completion of the project, customer service was first rate! Shane did an outstanding job of establishing a professional rapport, explaining the process, showing me everything he was going to do as well as detailing the service he would provide. Quick and efficient. Well done. I appreciate the fact that a live person answered the phone when I called instead of an answering machine. Travion (I hope I spelled it correctly) who answered my call was very helpful and accommodating. My garage door would not close so I needed a repairman to come ASAP to fix the problem. A-1 Garage Door was able to send a technician (Ryan Black) to my house in less than 3 hours. Ryan was pleasant and easy to talk to. He was very efficient and skilled and I could tell that he was very knowledgeable in the work that he does. Thank you for the EXCELLENT, quality service! I appreciate you making customer satisfaction a high priority! Quick response. Great service. A little pricey. Technician arrived early, was very professional and completed the job in a timely manner. Door was hitting the bottom and pushing back open, simple adjustment of the travel limits fixed the problem. Sensors had absolutely nothing to do with this problem. Spring was broken because of age, changed springs and also the bearings and drums were completely destroyed due to age as well. These parts are at best good for about 10 yrs. secondary parts will cause springs to wear out prematurely. These repairs had absolutely nothing to do with the current tenant this is due to old age and nothing more. Warranty will be honored for daughter should she ever take over household from mother. Springs are broke and busted motor also due to a lack of maintenance. Property is rental so tenant has to contact property mngment. The repairs are basic wear and tear not caused by user.